The “Most Proactive University Career Services Team,” award given by the Global University China Career Union. 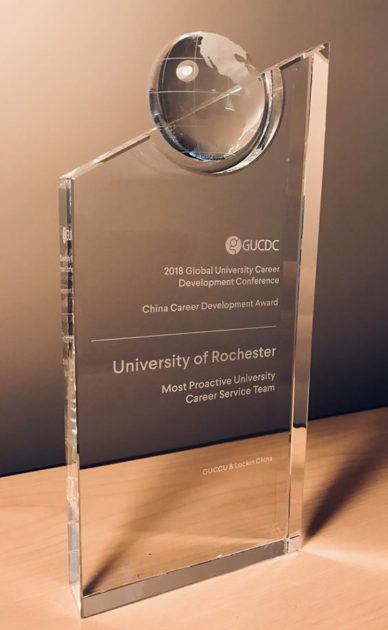 The University was selected as the “Most Proactive University Career Services Team,” by the Global University China Career Union (GUCCU) and Lockin China at the 2018 Global University Career Development Conference. This award is presented to the university that actively seeks cooperation with Chinese enterprises by effectively assisting students with future employment through strong job-seeking initiatives. The award is a collective University of Rochester award, but also highlights the cross collaboration between the Gwen M. Greene Center for Career Education and Connections and Simon Business School. The GUCCU unites the career centers of global universities and thousands of Chinese employers to provide career help to Chinese overseas students, as well as other international students and alumni who are willing to seek opportunities in China. 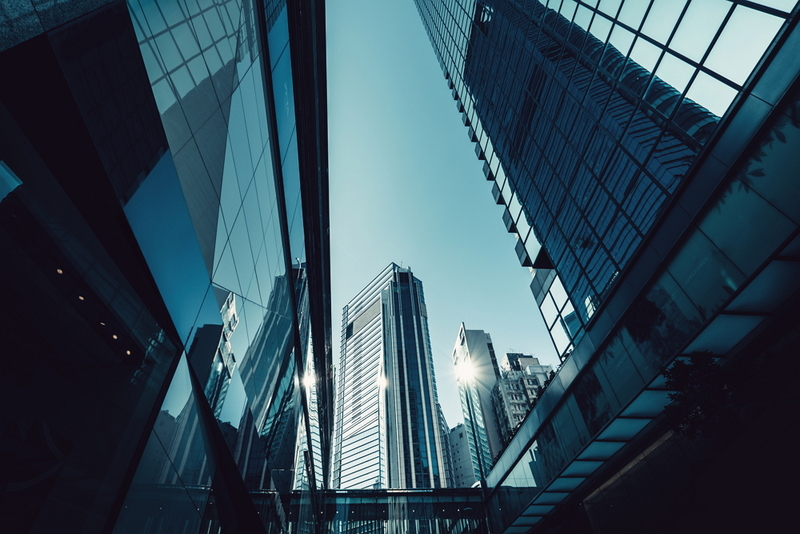 Among its goals is to allow universities to understand the situation of China’s economic development and talents demand status of enterprises in China, and help Chinese returnees and foreign students better understand the increasingly competitive job market in China. Lockin China is a global recruitment platform specializing in supporting Chinese overseas students.